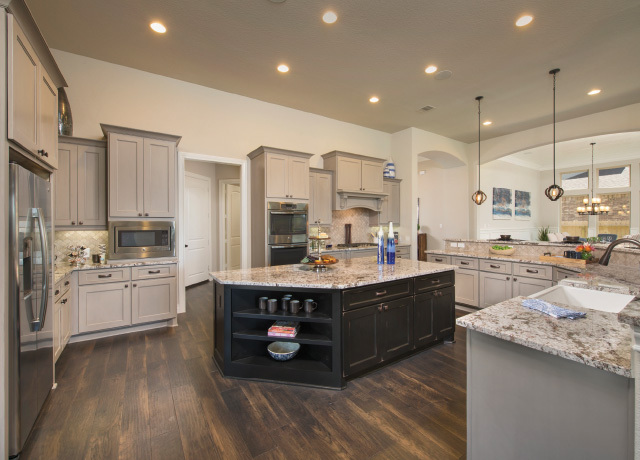 Ravenna Homes, a new luxury Houston homebuilder, has officially announced the grand opening of Firethorne’s newest section with premium lots available. Ravenna Homes’ new selection of home designs range from 2,800 to 5,600 square feet and start from the $370’s. 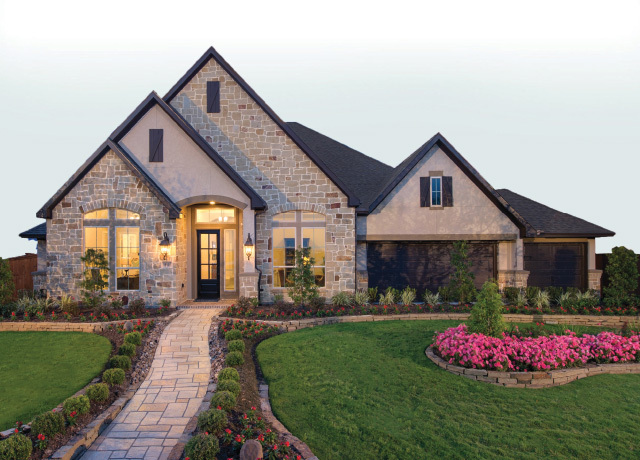 The homebuilder will feature larger 1-story plans up to 4,300 square feet and 2-story home designs up to 5,600 square feet, all available in brick, stone or stucco elevations. This new Firethorne section offers a limited number of oversized cul-de-sac and corner lots that will be reserved on a first-come, first-serve basis. 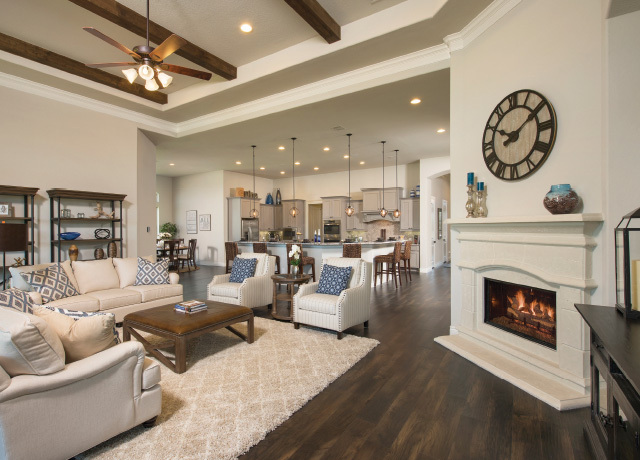 Firethorne is a master-planned community in Katy, Texas that features 150 acres devoted to parks and recreational amenities, resort-style swim center, sports field, hiking and biking trails, parks and playgrounds, discovery-rich wildlife observation area and a natural bird habitat. Firethorne’s prime location allows quick and convenient access to shopping, entertainment, and dining. Students attend the top-ranked Katy Independent School District (KISD) and Lamar Consolidated Independent School District (LCISD). Unique kitchen standard features in the 70-foot plans include decorative ornate vent hoods, banks of drawers, 36” GE stainless steel 5-burner gas cooktop with separate built-in 30” oven and microwave, and granite countertops with tile backsplash. 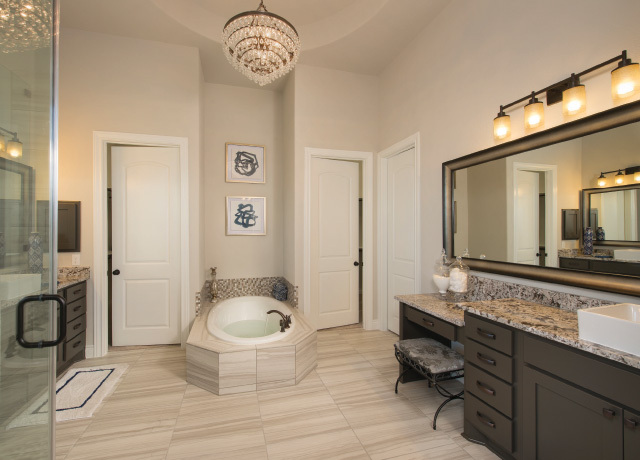 Impressive interior features include oversized 24” tile flooring in entry, extended entry, kitchen, utility room, master bath and all secondary baths, enlarged crown molding in entry, extended entry and family room, and 8-foot interior doors. Home buyers can further customize their home as an array of options are available including home automation to control lighting, heating and cooling, home entertainment, and security – all easily accessed from anywhere with your smartphone. Ravenna Homes is a RESNET EnergySmart Builder committed to building energy efficient homes. For more information, please call 281-693-7209 or visit www.ravennahomes.com.